Part 2 of “Traveling East,” is underway. The grant project, “Connect and Create: Students as Community Members,” is through the WI Department of Instruction and funded by the federal Library Services and Technology Act and the Institute of Museum and Library Services. School District of Greenwood Library Media and Technology Specialist Michele Green and Greenwood Public Library Director Kim Metzke applied for the grant earlier this year. 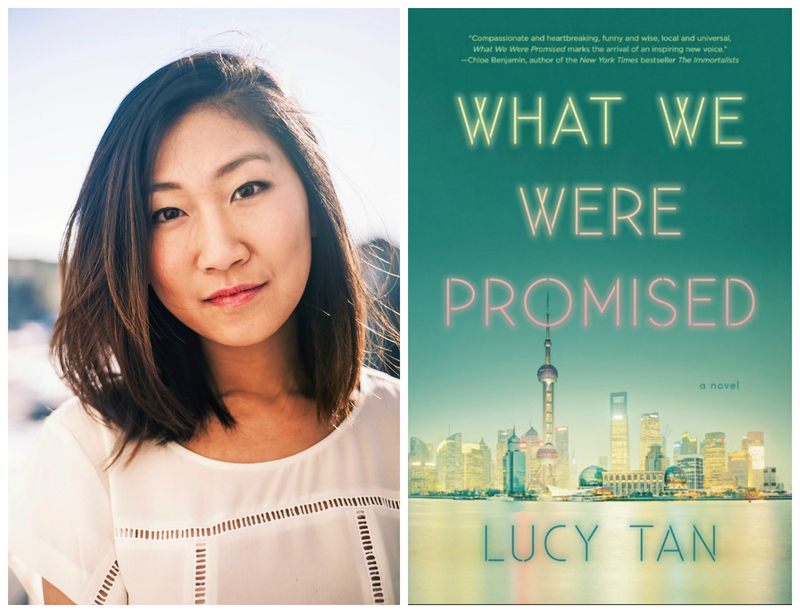 Part 2 features a community read of What We Were Promised by Lucy Tan (Little Brown, 2018), and is in progress. This is a book suited for grades 9 through adult. Part 1, reading Amal Unbound by Aisha Saeed (Nancy Paulsen Books, 2018), took place in October and culminated with the author visiting Greenwood on October 22. The book selections were chosen to foster community connections, provide exposure to other cultures, and allow for student voices to be heard. The goal is to boost awareness that we are all more alike than different. This opportunity helps to build acceptance. Author Lucy Tan will visit Greenwood on Wednesday, December 5, 2018, to speak about her book, her heritage, and her experiences as a writer. · Everyone is invited to the Greenwood High School Library starting at 5:30pm. using chopsticks, and enjoying modern music from China. Student projects will be on display. · Lucy Tan will present from 6:00-6:30 pm and be available for book signing afterward. Books are available for checkout at the Greenwood Public Library. grant 2019-107419- and LSTA Connect and Create-251.